Join owners, operators, developers, architects and designers in this year’s competition. 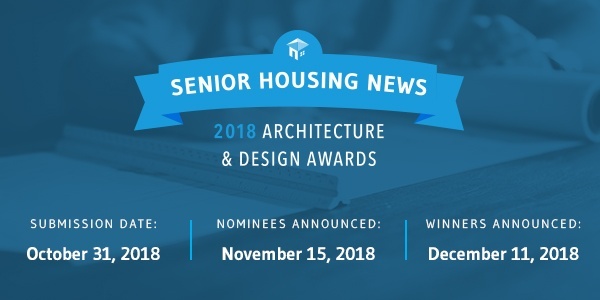 Returning for its sixth year, the SHN Architecture & Design Awards recognize cutting-edge design, excellence and innovation in senior living. Showcase and market to the SHN community and beyond how your community’s innovative design improves the lives of seniors. If you’re interested in participating in the 2018 competition, please visit the Architecture & Design Awards homepage. There you can learn about the rules of the competition, submit your project, learn more about this year’s judges and view last year’s winners.